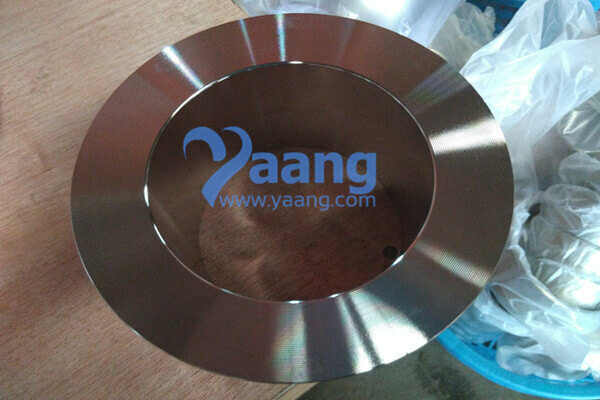 China STUB END Manufacturer Yaang offers MSS-SP43 (A) ASTM A815 UNS32750 GR2507 STUB END, 80NB, SCH40S. 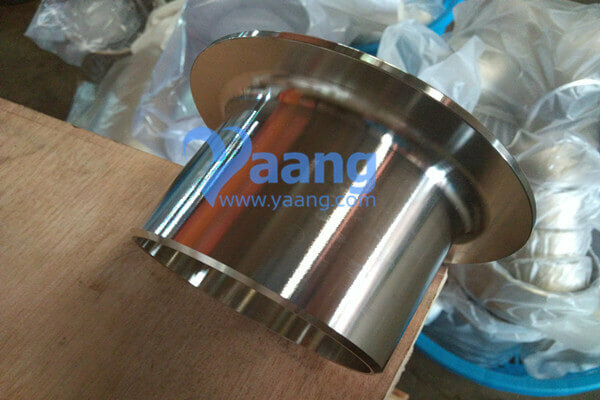 UNS32750 SAF2507 Stub Ends are fittings used in place of welded flanges where rotating back up flanges are desired. They are also called Lap Joints and Vanstone Flared Laps. A rotating back up flange seats itself against the back surface of the Stub End. When bolts are added, the clamping action of the bolts presses the rotating back up flange against the back of the Stub End. The gasket surface of the Stub End then presses against a gasket and another gasket surface providing joints like standard flange joints. 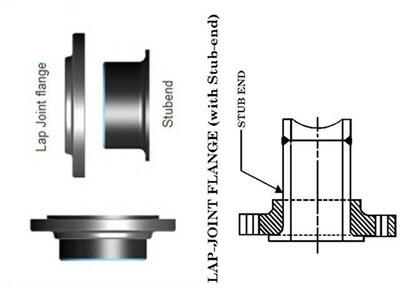 The seal is made by the gasket surface of the stub end alone, the flange only provides the clamping pressure on the joint. Since Stub Ends are made from material compatible with the designed piping system, back up flanges do not have to be made from the same material. The flange can be made from less expensive material because it never comes in contact with the process fluid. UNS32750 GR2507 Stub Ends are typically manufactured by two methods. Type A & B Stub Ends are made similar to forged fittings such as Elbows and Flanges. Type C Stub Ends are made by forming pipe to the desired dimensions. UNS32750 GR2507 Stub Ends are available in two standard lengths, MSS and ANSI. UNS32750 GR2507 Stub Ends dimensions are found on our fitting dimensions page. 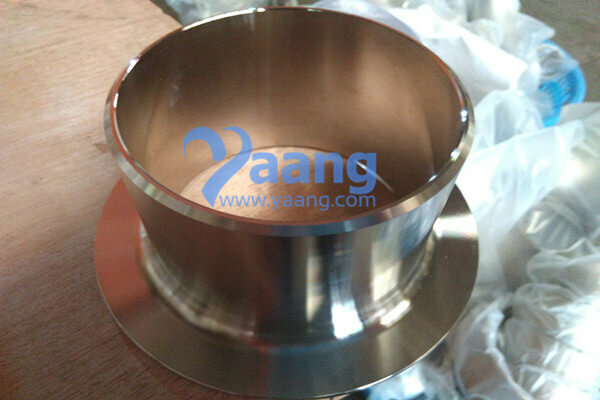 Type "A" - Type "B" - Type "C" - Type "CS"
Where can we find the high quality MSS-SP43 (A) ASTM A815 UNS32750 GR2507 STUB END, 80NB, SCH40S.